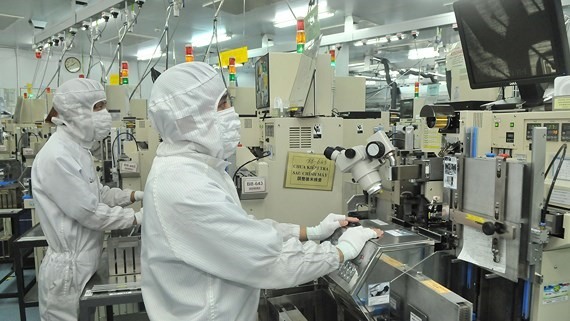 Viet Nam is expected to receive more foreign direct investment (FDI) from Japan in the coming years as part of its strategy to shift investment attraction towards high-quality capital. According to the latest updates from the Viet Nam Foreign Investment Agency, Japan ranked first out of 51 countries and territories with investments in Viet Nam in January with a total registered capital of nearly US$364 million, making up 19 per cent of all registered FDI in Viet Nam. Major projects from Japan in January included the $134 million investment by Kyoshin Viet Nam in electronic component production, Katolec Global Logistics` $65 million investment to build warehouses in Ha Nam Province and Sews Components Viet Nam 2`s $65 million for building a factory in Hung Yen Province. Goki Nobuta, general director of Thang Long Industrial Park Company in the northern province of Vinh Phuc, said the level of investment from Japan was increasing significantly. He was quoted by Thoi Bao Kinh Te Viet Nam (Viet Nam Economic Times) as saying that, when completed, the industrial park was expected to receive money from 80 Japanese firms in the part-supply and high-tech industries. Phan Huu Thang, former Director of the Viet Nam Foreign Investment Agency, said Japanese investment in Viet Nam had been on a stable upwards trend over the last three decades. The FDI capital flow from Japan to Viet Nam would continue to increase in coming years, given the two countries` extensive strategic partnership, Thang said. Economist Vo Tri Thanh said the Comprehensive and Progressive Agreement for Trans-Pacific Partnership (CPTPP), of which the two countries are both members, would also create opportunities for Viet Nam to attract more investment from Japan. However, Thanh noted that Viet Nam needed to continue improving its business climate and hasten institutional reforms to enhance transparency and accountability. Viet Nam was eyeing investments from Japan in infrastructure development, energy, electronics, automobiles, agricultural processing, high-tech agriculture and the environment. Japan was the leading foreign investor in Viet Nam out of 112 countries and territories with investments in Viet Nam in 2018 with a total capital of $8.59 billion, accounting for 24.2 per cent of the registered FDI for the year.